Questions constantly arise as to whether certain expenses incurred by an employee benefit plan can be paid from the assets of the plan or by the plan sponsor. Expenses incurred by an employee benefit plan fall into two broad categories: settlor expenses and fiduciary expenses. Fiduciary expenses can be paid from plan assets; however, settlor expenses cannot be paid from plan assets. Improperly paying expenses with plan assets could constitute a breach of fiduciary duty. It is, therefore, important for plan sponsors to correctly identify which expenses can be charged to the plan and which cannot. To correctly identify the type of expense, plan sponsors must determine whether they are performing in their settlor or fiduciary capacity. In general, plan sponsors act as settlors when they decide to establish a plan, select a plan design, and decide to terminate the plan. Financial analysis and consulting, for example, related to settlor activities may not be paid from plan assets. Plan sponsors, however, commonly act as fiduciaries when legally implementing design changes in compliance with the Employee Retirement Income Security Act of 1974 (ERISA) or maintaining a plan’s qualified status under the Internal Revenue Code. Expenses derived from satisfying the law are typically chargeable to the plan. Although the settlor versus fiduciary dilemma seems relatively simple, ERISA does not define the dichotomy. Since the distinction is not defined in ERISA, the U.S. Department of Labor (DOL) has stepped in to provide guidance. The DOL’s position is that expenses incurred in connection with the performance of settlor functions would not be reasonable plan expenses; however, reasonable expenses incurred in connection with the implementation of a settlor decision would generally be payable by the plan. The DOL has also posted guidance in the form of hypothetical fact patterns to help distinguish between settlor and fiduciary functions. Plan sponsors should be aware that not only does the DOL regularly challenge and review expenses on audit, but plaintiff’s attorneys also actively search for benefit plans that are misusing plan assets to pay plan expenses. 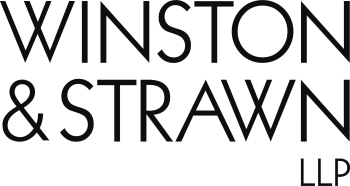 Winston & Strawn, LLP has significant experience advising plan sponsors on what expenses may be paid with plan assets. Plan expenses generally fall into two categories: settlor (cannot be paid for with plan assets) and fiduciary (can be paid for with plan assets). Plan assets can be used to pay plan expenses when reasonable expenses are incurred in implementing settlor decisions. DOL and plaintiff’s attorneys are regularly monitoring whether plan sponsors are incorrectly using plan assets to pay expenses.